Make Everyday a Vacation. Be at Twin Palms. Experience the Bali lifestyle within the comfort of your home. 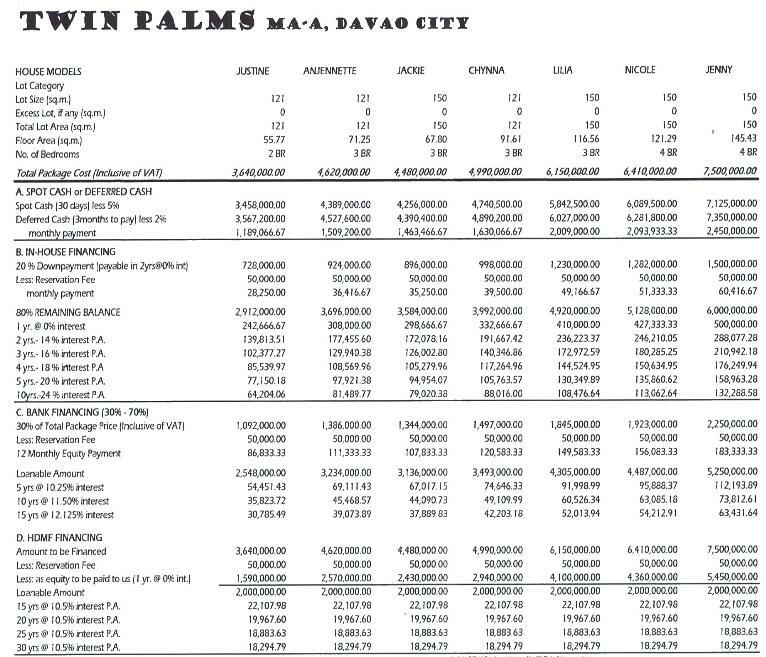 This proposed project at located in MAA, Davao City. A high end Site containing an area of 3.5 hectares. Limited homesite that can only accommodate 140 families. Fully Landscaped Entrance Gate. An outstanding work of Art to live beyond Satisfaction. F.	FOR MORE INFORMATION AND SITE VIEWING, PLEASE CONTACT THE AGENT BELOW. 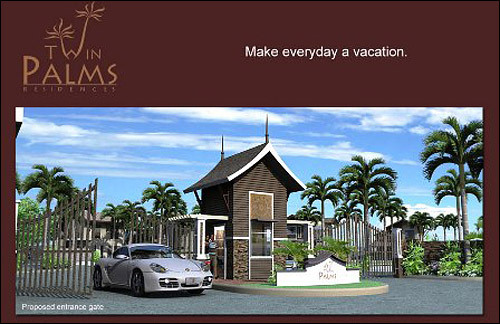 INNER LOT – PHP 10,000.00 per sq.m. 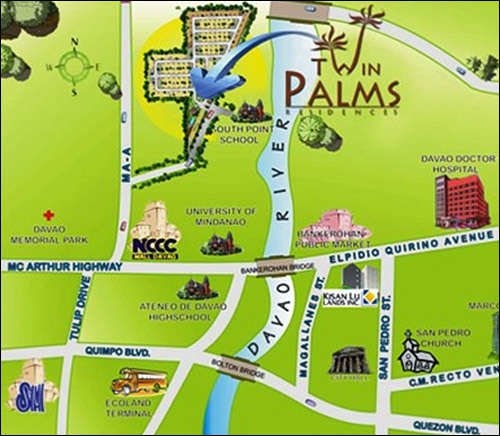 CORNER LOT – PHP 11,000.00 per sq.m.